One clever feature of the Eurosmart tap is GROHE SilkMove ES technology which means that at mid-lever position only cold water comes out, so you cut back on energy use. The lever's action is ultra-light-touch – and if you turn it to the left hot water comes out as you'd expect. GROHE EcoJoy water-conservation cuts your water use by up to 50%, helping to preserve precious natural resources while saving you money on your bills. 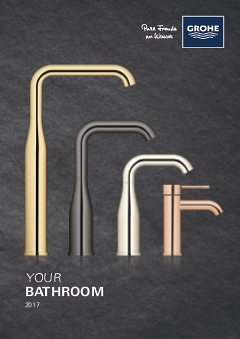 It also has a built-in pop-up waste, and is presented in durable GROHE StarLight chrome, meaning it is effortless to maintain. Our easy installation system makes for quick and straightforward fitting.